Upgrading to Lithium is fairly expensive, and the process of putting together a suitable pack and charging system is time-consuming and often difficult. So you might ask why such an elaborate upgrade is worthwhile. 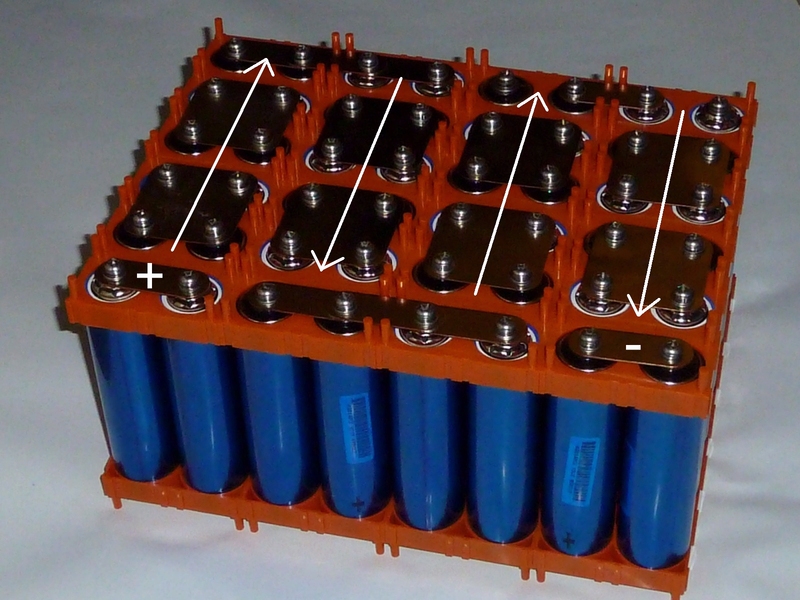 A typical 72V SLA bank composed of six 12V 28Ah batteries weighs around 48Kg. A similar rated Lithium bank weighs 60-70% less. The pack I built ended up weighing in at around 19Kg. At almost 30Kg lighter, acceleration is greatly improved, hill-climbing is less of a struggle, and the lower mass consumes less energy, adding to range and lowering running costs. Whereas an SLA bank will show a steady decline from full charge and across a significant range of voltages – gradually ‘winding down’ as it runs out of power, Lithium cells deliver a fairly steady voltage for a long period before fairly abruptly falling to below a safe operating level. This means they have to managed more carefully, but do deliver more even and consistent power throughout a discharge cycle. It won’t become sluggish and fade out half way through, like SLAs do. 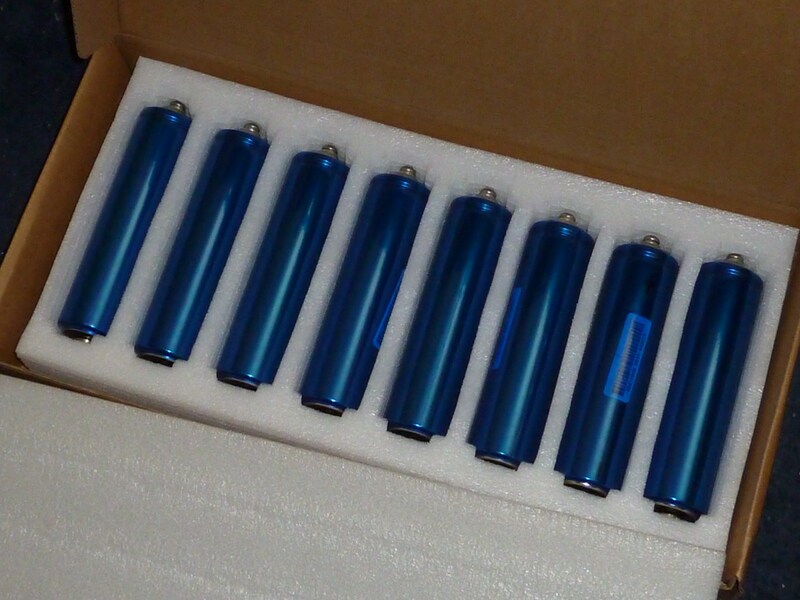 An SLA bank will typically only give you around 500 charges before the batteries need replacing. A well-managed LiFePO4 Lithium bank will give you 2000 charges before it needs replacing. A typical SLA bank will cost around £250 to replace, versus the £650 cost of replacing a similar LiFePO4 bank: Four times the lifespan, but two-and-a-half times the cost. Furthermore, the price of Lithium cells continues to drop, making replacement costs even cheaper. 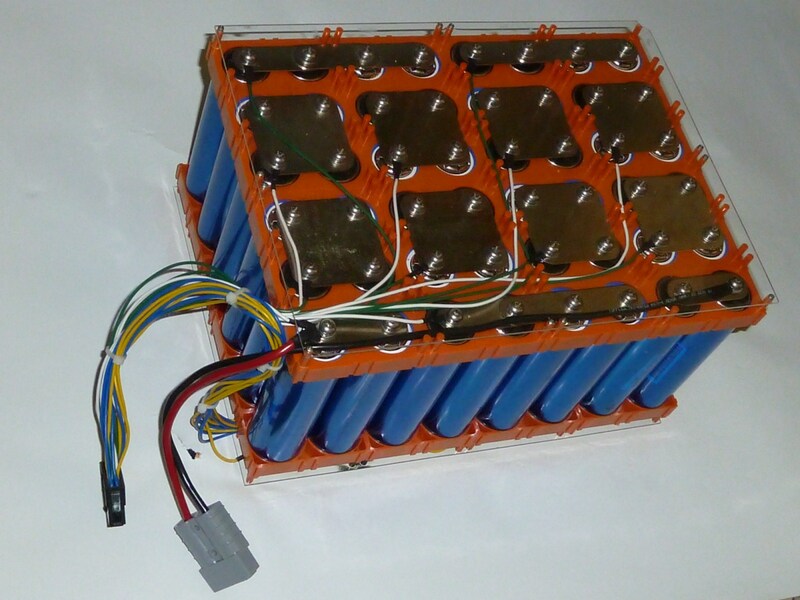 The first stage of upgrading to Lithium is to build the actual battery pack. If you’ve been running off of a 72V system, then it makes sense to have a pack that delivers a similar voltage but preferably a little bit higher. This will give you better performance, but still enable your controller and other bike components to work as it would off of a 72V system. A nominal 72V system operates typically between 68V and 82V depending on the charge state of the batteries, so our “72V” rated controller and converter does have a certain amount of flexibility in the range of voltages that it can work with, so it makes sense to ‘push the envelope’ a little to get more power. 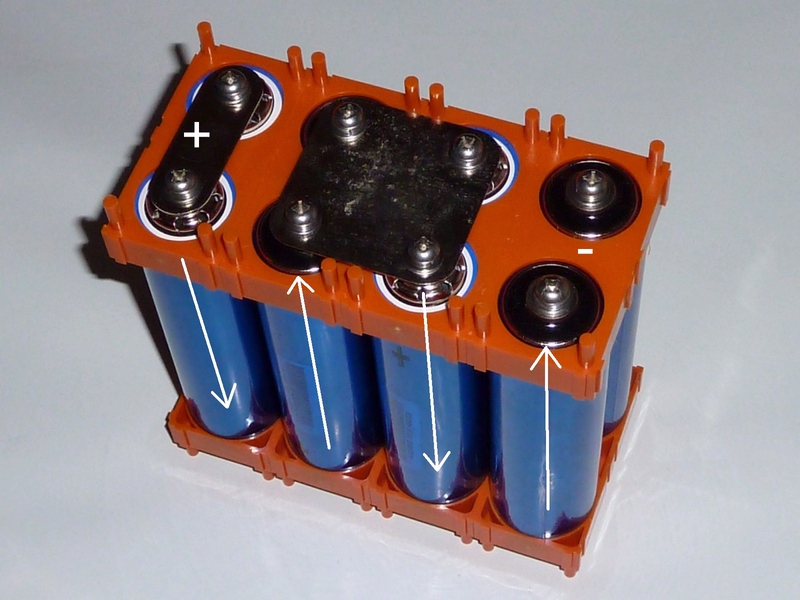 The LiFePO4 cells I wanted are nominally 3.2V per cell, with a maximum charge voltage of around 3.6V per cell. The cells will charge higher than this, but any more will start to take a toll on its lifespan in terms of the number of charge cycles it will give. 3.6V per cell is the generally agreed to be a good figure to work with by way of the upper limit. With this in mind we need a bank that is ideally a good “square” number that delivers a voltage slightly better than 72V nominal. In the end I decided upon a 24s2p configuration, that is, a pack comprising 48 cells divided into 24 pairs connected in parallel. Connecting cells in parallel, remember, doubles their capacity while keeping their voltage the same, whereas connecting cells (or cell-pairs) in series multiplies their voltage while keeping the capacity (amp-hours) the same. The cells I chose were Headway LiFePO4 38140S screw-tap cells. Nominally 3.2V, at 12 Ah each. By connecting them into pairs, my bank would have a 24Ah capacity for the full voltage, and by stringing together 24 in series, I would have a nominal pack voltage of 76.8V, high enough that I could get a little more power, but not so high that my system couldn’t cope with it. The voltage of the bank fully charged would therefore be 86.4V, just 4V or so higher than that of a 72V SLA bank. The pack number was also a good ‘square’ number that gave me a 6 x 8 pack of cells that was of the right dimensions for fitting onto my scooter. This can prove a little challenging, as the Western world now seems to be lagging significantly behind Asia in terms of electronic technology and have been remarkably slow to show any interest at all in supplying or reselling EV components or equipment. So like most e-bike controllers and chargers, China seems to be the best place to get them from. You could go straight to the manufacturers: Zhejiang Xinghai Energy Technology Co., Ltd. , however I found that quotes from their reps were higher than those of many resellers who can be found hanging around on Alibaba.com. 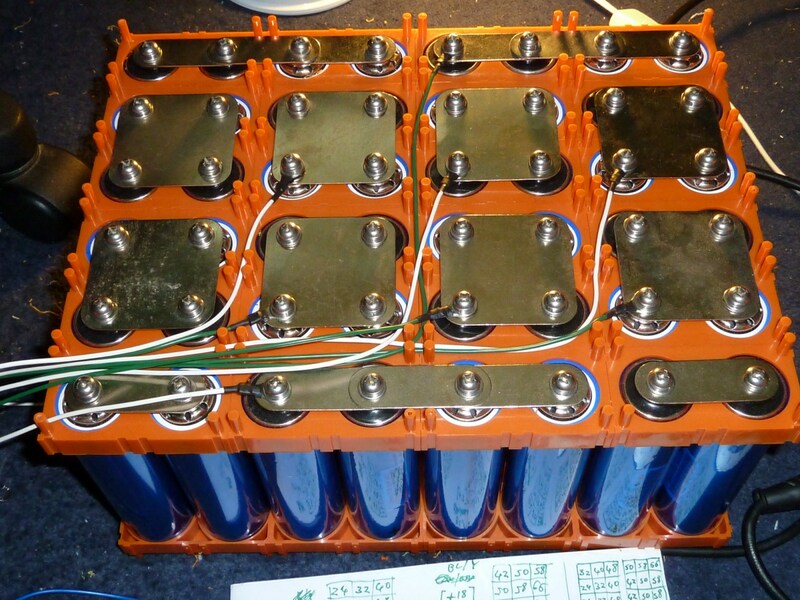 EV forum users have frequently gone to EVAssemble to get their LiFePO4 cells. There have been complaints about their delivery times and customer service, however they have proved to be reliable in providing quality cells. In the end, I ended up taking quotes from a number of resellers, the cheapest of which were from ‘Michael’ of EVAssemble and ‘Michelle’ of a little-known reseller Sports Discovered Ltd. However I found Michael to be so slow and disorganised that Michelle won by default, with a slightly lower quote than the one provided by EVAssemble. I ended up ordering 50 cells (so I would have two spares), and specified the number of holders, and 2-cell/4-cell connector plates to be included. I strongly advise anyone undertaking this projecy to ask for spare plates and holders. The plates can be ruined by shorting accidents, and sometimes vary in quality (a couple of mine were slightly warped). The holders can have their tabs broken easily, especially if you are drilling little holes in them to mount perspex siding like I did. The packages had seven boxes like this one, with my cells all snuggly packaged in little foam compartments. 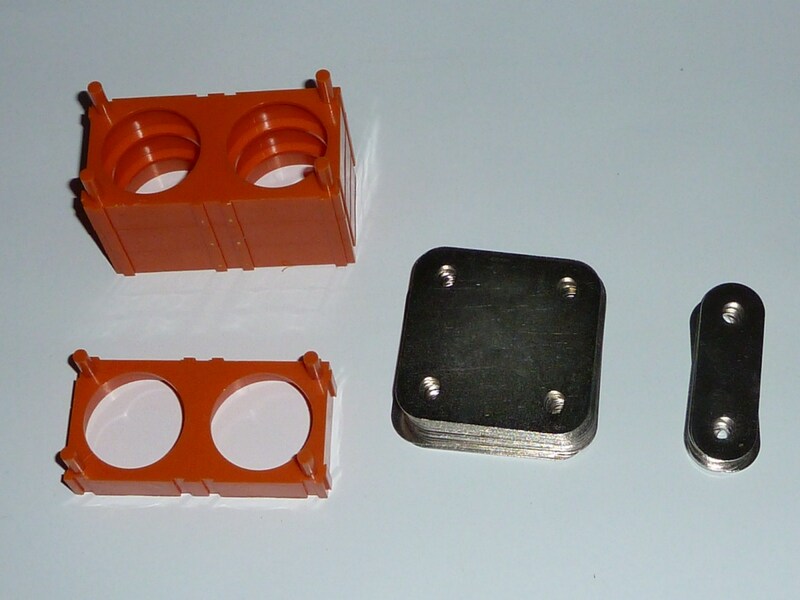 The holders and connecting plates were included as requested. The holders are plastic brackets that go onto the ends of the cells, and let you fit them together like Lego into any size or shape of pack that your want. 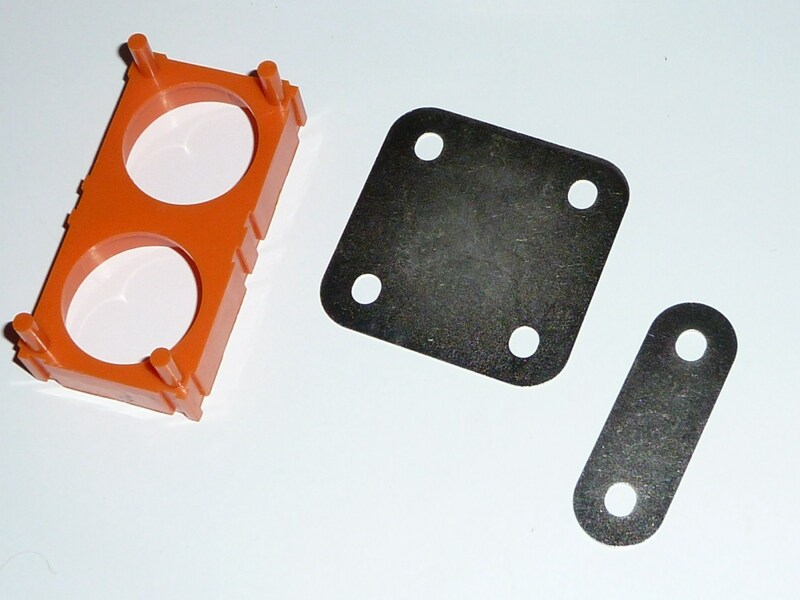 The connecting plates let you cross-connect them to get the configuration of bank that you want to deliver the desired voltage and capacity. They are simply screwed onto the ends of the cells using the little bolts that come attached at either end. Once everything was unpacked, it was time to set about putting together my bank. After measuring up my bike, I had settled upon a 24S2P configuration (24 two-cell pairs connected in series), forming a grid of 6 x 8 cells. A big, completed pack looks quite complex and a little overwhelming, but it’s quite simple when you break it down into its constituent parts. The following four cells, connected at the bottom by a square, 4-cell plate, form two parallel cells in series. Below, the same pattern is extended through eight cells, forming a quarter of what will eventually be the complete pack. You can think of this assembly as four ‘cells’ (parallel cell-pairs) in series, with the direction of current alternately going up and down from left to right. At the end of the row, the series ‘bends’ round to go in the other direction back towards the left again. The assembled bank looks like this, with the master positive front left, and master negative front right, the nominal voltage of the full bank being 24 x 3.2 = 76.8V. The most tedious part of the job, though, is yet to come. 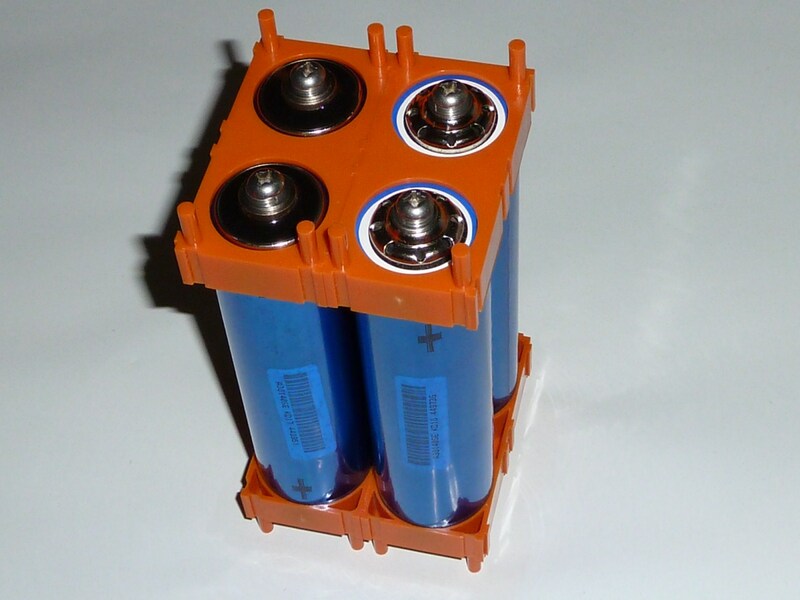 Lithium packs need to be carefully balanced using a Battery Management System (BMS). 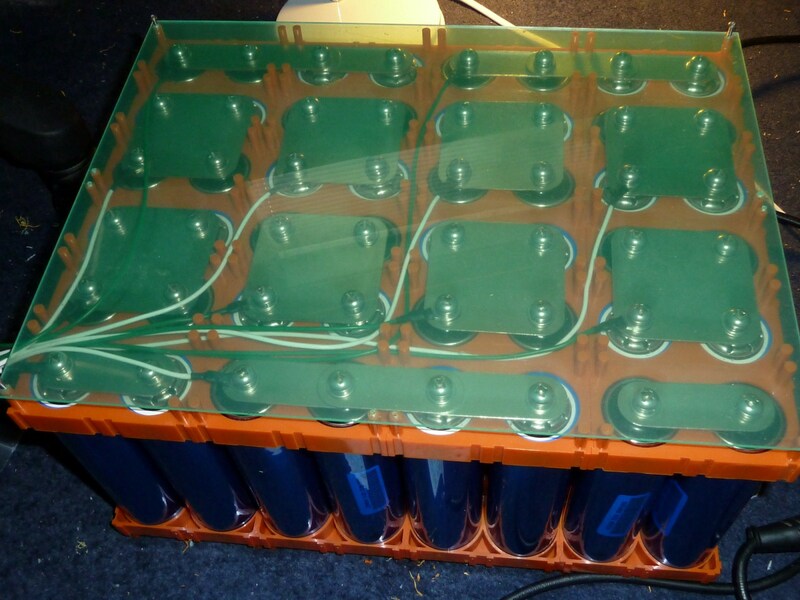 This means that each of the 24 cells needs a tap wire to run to an external connector, which can allow a BMS to keep the cell voltages properly balanced during charging. I decided to use 1mm2 copper core wire as this would allow for higher rate charging and minimise resistance in the system.I used a sequence of four colours, blue, green, yellow, and white to make it easier to keep track of which wire went to which terminal and prevent misconnections. These wires, though, wouldn’t fit in the 25-pin serial connector that I was planning to use, so instead I settled for an ATX connector of the type typically used by computer power supply units. The connectors and pins are available from specialist PC component retailers. Figuring out how long all the tap wires would need to be for each terminal needed a little thinking about. I started from the standpoint of all the wires threading their way to the positive terminal of the bank. Then I added 240mm for a final length that would run off of the bank and to the ATX connector. Each pin on the connector would correspond to the positive terminal of each consecutive cell, starting from pack’s negative pole and going upwards. So the first pin would lead to the positive of the first cell (+3.2V), the second, to the positive of the second cell (+6.4V), and so on. The final pin would connect to the master positive, reflecting the full bank voltage. Once I’d cut my wires to the required length, I crimped each of them to a male ATX pin, secured the connection with solder, and clipped it into the relevant hole of the male ATX housing. 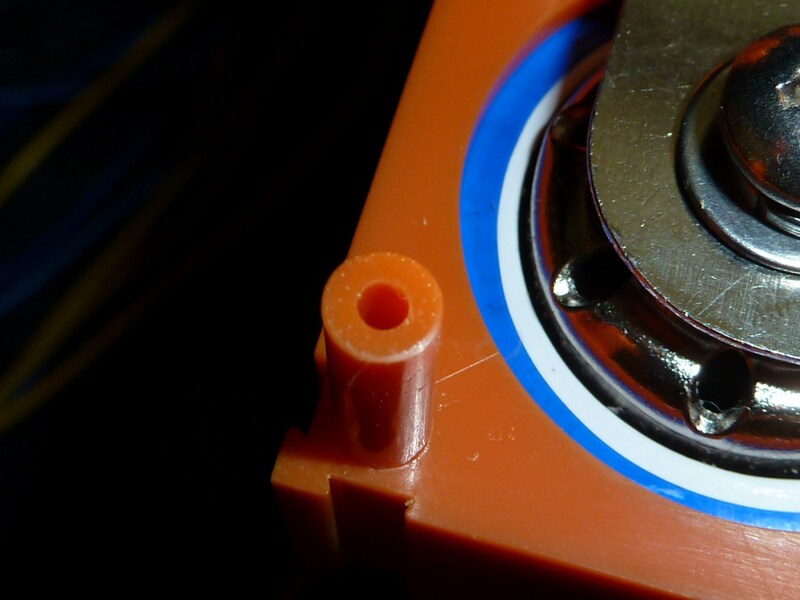 It’s advisable to have a few pins spare, as it’s easy to damage or oversolder them. 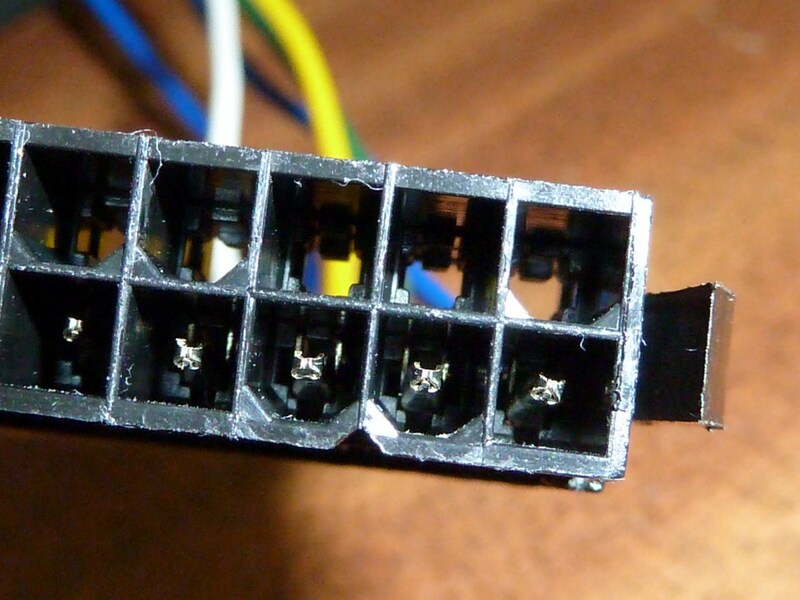 Once the connector was completed, I set to work on the other ends: Each was crimped and soldered to a ring connector. I put a short length of heat shrink down each wire before I soldered on the connector, so that the joint could be insulated and further strengthened with this afterwards. The connectors were then simply secured to each cell pair using one of the screws at either end. I wanted the final unit to be safely housed, so I had two pieces of perspex cut to mount on either side to protect the connecting plates that carried the charge. I carefully drilled small holes in some of the ‘legs’ of the cell holders. I started with a small bit to drill a guide hole, then drilled it out with a slightly larger, 2mm bit. I drilled corresponding holes in the perspex and secured it to the legs on the cell holders. I kept the green backing film on this until I was properly finished. 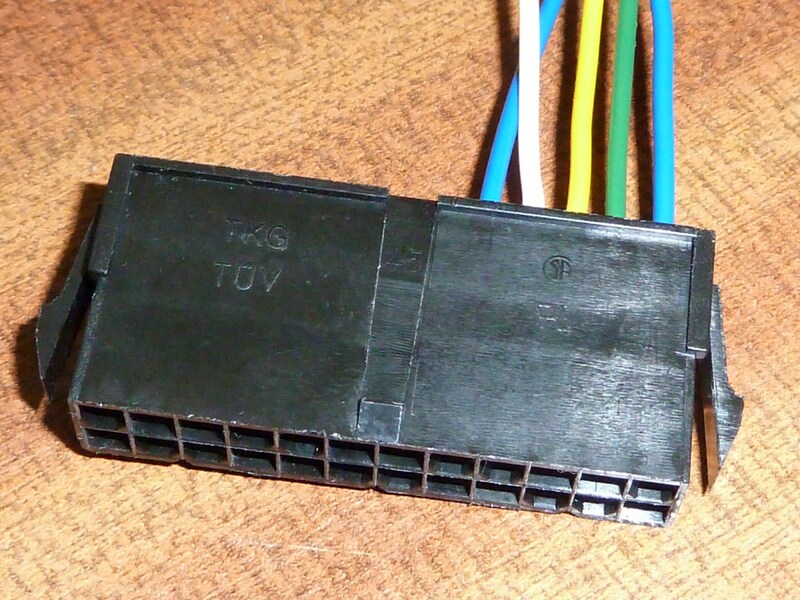 In addition to the cell tap wires, a BMS also requires two, thicker main terminal wires to be connected, through which it charges the main bank. For this I used 6mm2 wire crimped to an Anderson connector. The wire wasn’t thick enough to fill the crimps for the Anderson, so I used 10mm lengths of thick copper strands to fill it out to allow a nice, solid crimp. The final result is a LiFePO4 bank that is ready for installation. The tap wires and main connectors are for the BMS to manage charging and for this or another unit to deal with LVC (low-voltage cutout) at the cell level. 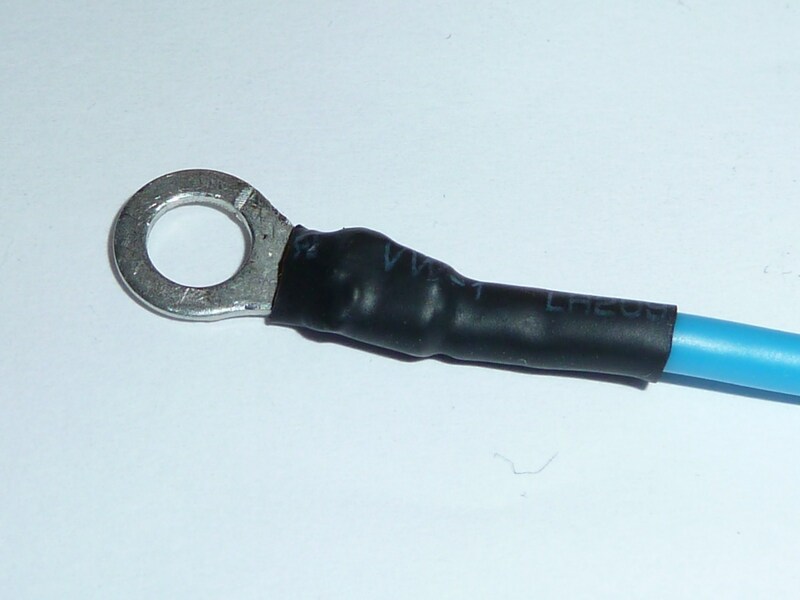 The main power wires for the bike can be added secured to the main bank terminals via another pair of ring connectors. This is made easier by the fact that each cell pair has two screws, so there is not need to pile multiple connections onto a single bolt head. You are currently browsing the archives for the 4.7.1. 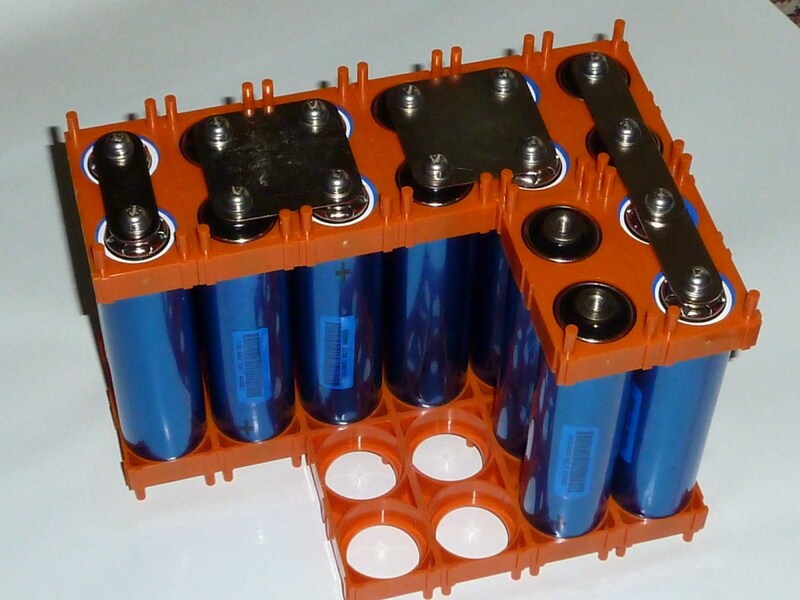 Building a LiFePO4 Lithium Pack category.